All the red flags were there. 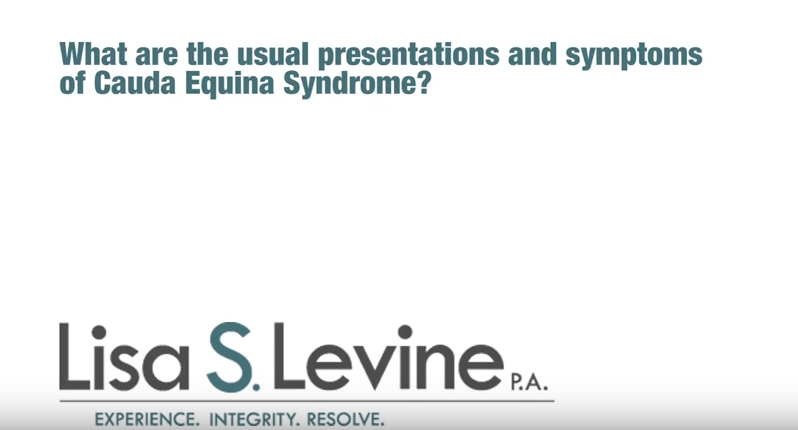 But the medical care professionals who examined you failed to take the time and trouble to correctly diagnose the real cause of your pain: Cauda Equina Syndrome (CES). Now you must live with the painful consequences of that misdiagnosis. 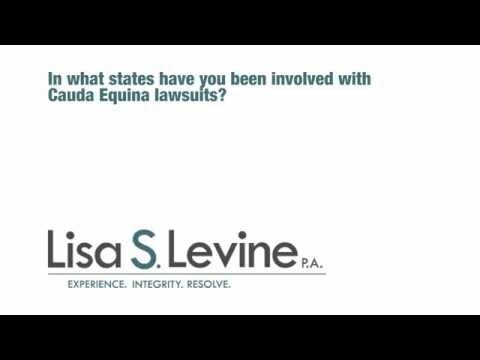 If you are suffering from CES due to medical malpractice, you should contact Lisa Levine PLC – an expert Miami Cauda Equina attorney with extensive experienced in these specific types of cases. Lisa will fight to get you the full compensation you deserve for all the pain, suffering and expenses you have suffered and will continue to suffer due to the careless actions of a health care professional. CES is a rare, but serious medical condition that requires emergency medical attention. For the patient to get the treatment they require, the condition must be correctly diagnosed by health care professionals. Treatment must begin within 24 hours of diagnosis to prevent serious complications, including permanent bowel and bladder incontinence, sexual impotence and even paralysis. Treatment for CES involves an emergency surgical decompression procedure. However, for the patient to receive the immediate medical attention they require promptly, their condition must first be correctly diagnosed. This means a doctor must order the appropriate diagnostic test, including a lumbosacral spine X-ray, an MRI, or a CT scan. If a medical professional fails to have the necessary tests performed, the results for the patient can be disastrous. Many times, insurance companies will underestimate the amount of financial support needed for those suffering as a result of CES, so it is imperative that victims seek out compensation that will truly cover the full cost of their tragic condition. Long-term medical care – surgery, drug treatments, physical therapy, medical assistance devices and long-term medication – can be expensive; the insurance companies often try to avoid taking responsibility for these ongoing costs. This makes it very important to seek out a Miami Cauda Equina attorney who will get you the total settlement you require for your ongoing medical costs. 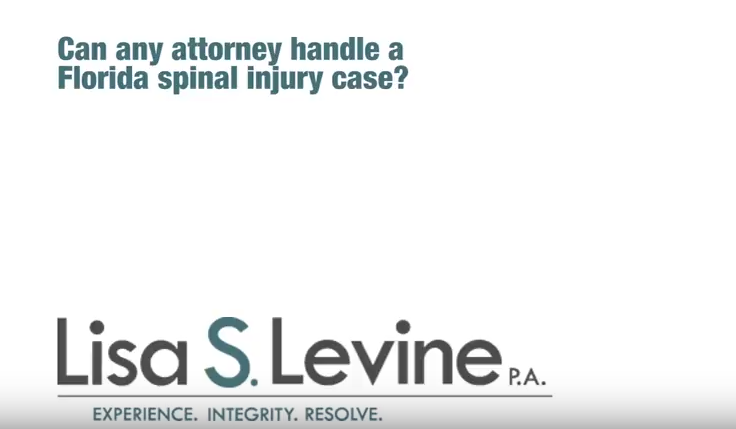 Her clients know they can depend on Lisa’s skills, expertise and dedication to justice to obtain the settlement they deserve for their pain, suffering and economic losses. 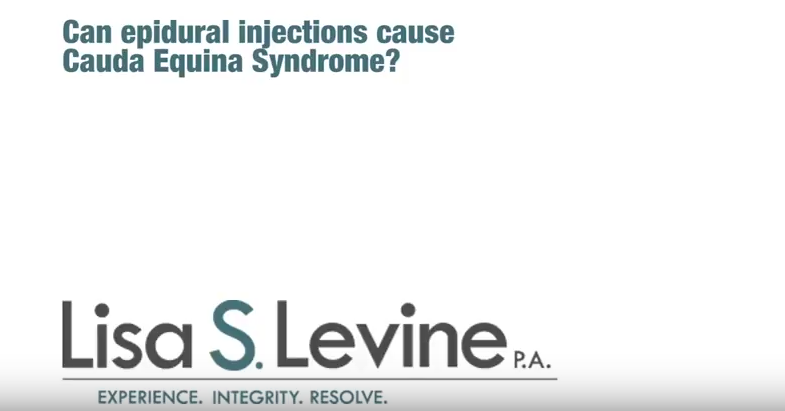 We handle our cauda equina syndrome malpractice cases on a contingency basis, which means you don’t owe us anything unless we recover monetary compensation for you. 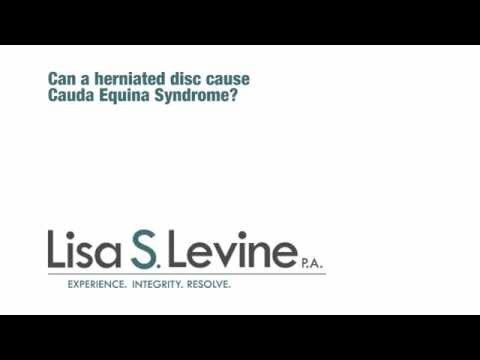 If you or a loved one are suffering as a result of Cauda Equina Syndrome, please call Lisa Levine at 954-256-1820. We look forward to reviewing the details of your situation and providing professional advice on the best way to move forward. Weekend and evening appointments are available. If your injuries have made it difficult to travel, we can speak with your at home or in the hospital.